Choir conductors Ben Pauls and his son Matthew enjoy using their talent, energy and enthusiasm to bring people together through choral music. Choir conductors Ben Pauls and his son Matthew share enthusiasm, talent and a passion for choral music. This fall, they had the unexpected opportunity to share the stage at a fundraising concert for the Canadian Foodgrains Bank. The concert—the first they shared together as conductors—featured a joint performance of the Faith and Life Male Choir conducted by Ben and the Canadian Mennonite University (CMU) Men’s Chorus conducted by Matthew. Collaborating with his father, Matthew arranged one of the songs they sang. 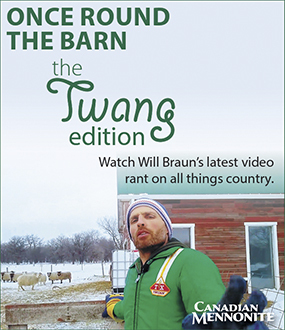 Ben never envisioned a musical career when he was attending a one-room country school near Morden, Man. He took piano lessons and enjoyed singing, but studying music was unplanned. After high school, he enrolled in the music program in what is now CMU. “The other programs had too much reading and too much writing, so I took music,” he says. His studies led to a career of teaching music, and pastoral ministry. In 1986, he earned a master’s degree with a choral conducting major from the Westminster Choir College of Rider University, one of the world’s leading centres for choral study and performance, located in New Jersey. Matthew, meanwhile, grew up in a home filled with music. His early childhood was spent in Asunción, Paraguay, where Ben taught music at the Evangelical Mennonite Theological Centre for almost 10 years. Matthew joined the CMU faculty as assistant professor of music in 2015, and recently completed his doctor of musical arts degree in vocal performance. Among his many musical accomplishments are his performances as a featured soloist with numerous symphony orchestras and chamber choirs. 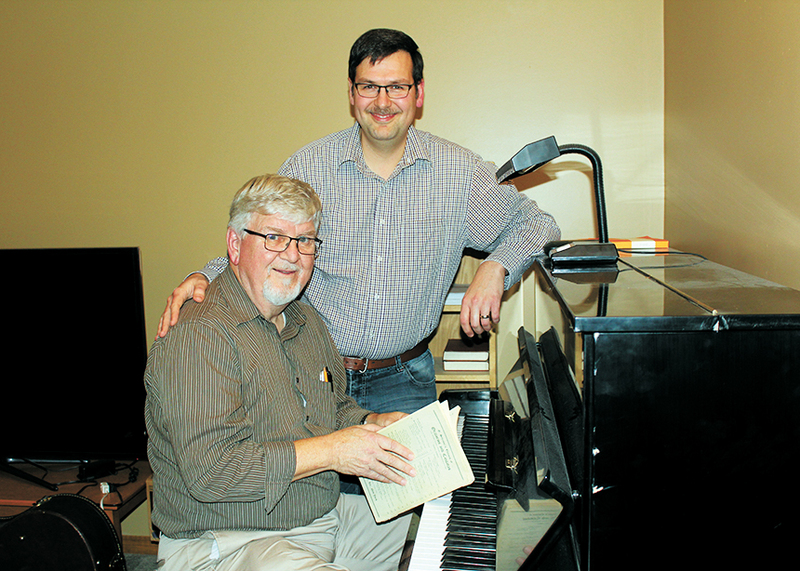 The musical careers for father and son intersected at the Foodgrains Bank fall fundraising concert, which began with separate performances by the choirs they were conducting, and culminated with a joint performance of five songs. Each choir consisted of about 35 people. As conductors, they help choir members understand, appreciate and convey the deeper meanings of the lyrics and music. The Faith and Life Male Choir sang “The Lord’s Prayer.” Ben says the words, “Give us this day our daily bread,” serve as a reminder that food is a basic essential that cannot be taken for granted.